The UC Learning Center is Live! Home / News & Events / News / The UC Learning Center is Live! Ask questions and get a tour of your new interface, in the webinars listed below. 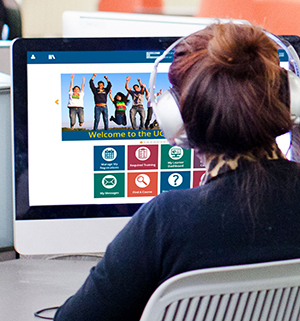 The UC Learning Center is now available for you to access! 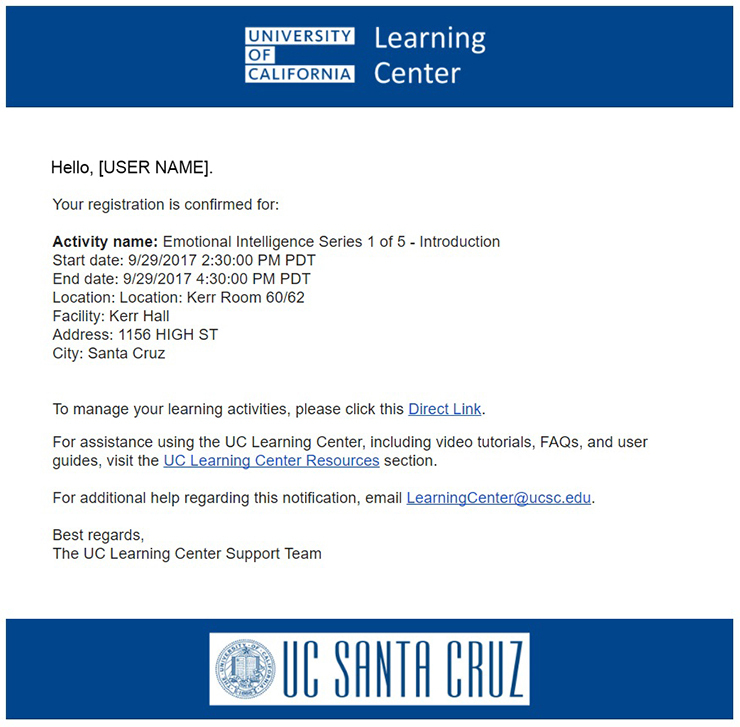 You still use your CruzID Gold credentials from the same (updated) UC Learning Center launch page. We have included a preview of our cleaner and easily recognizable UC Learning Center email notices, at the bottom of this message. While the UC Learning Center was offline, no email notifications were sent out. That being the case, we recommend you log in to the UC Learning Center to see if you have registered for any upcoming in-person learning activities and check the status of compliance trainings that may now be overdue. As is the case with any software upgrade, there are always new tips and tricks to learn. We have provided helpful tools in the UC Learning Center Resources section to get you up and learning in no time. Our goal is to continually make it easier to accomplish your goals and, hopefully, make it more enjoyable for you to explore all that UCSC has to offer via the UC Learning Center. As always, if there is any way we can help you with the UC Learning Center, please email LearningCenter@ucsc.edu.